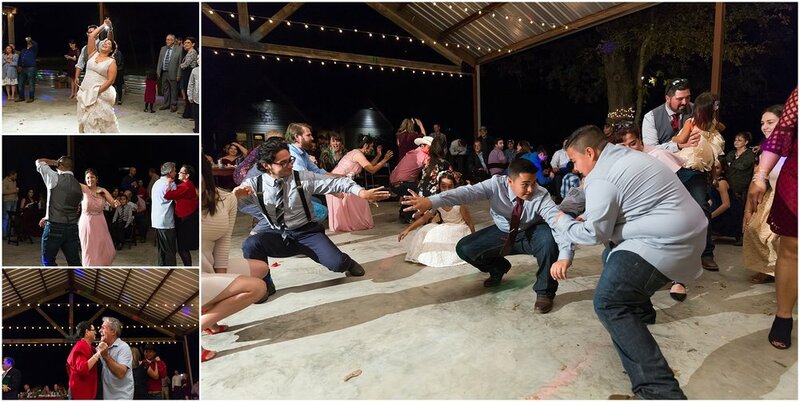 There’s something magical about a wedding in the fall - all the leaves changing colors, warm evening sunlight coming through the trees, and here in Texas it’s no longer so stinkin hot! 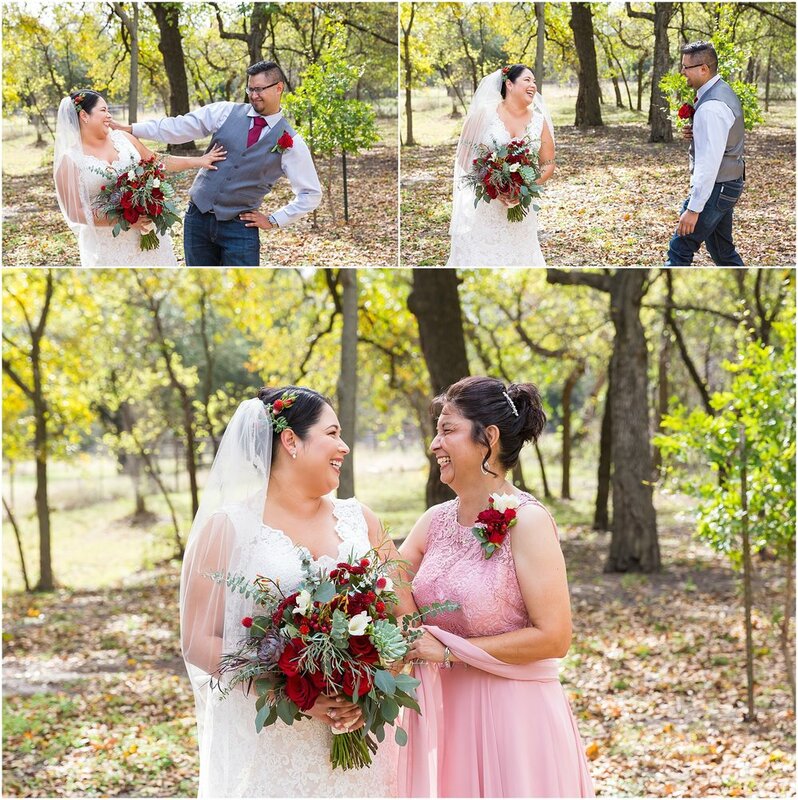 Misael & Ellisa really hit the jackpot on the fall season with their beautiful November 3rd wedding. And such a sweet couple deserves nothing less! 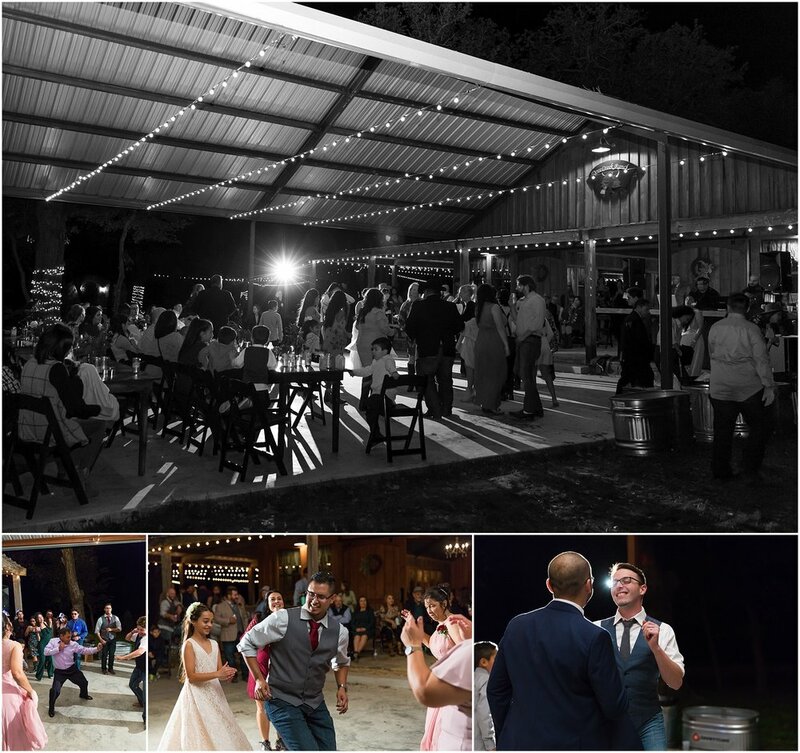 Misael & Ellisa chose Dove Creek Ranch as their venue. If you are in the Dublin, Texas area, please make sure to check this venue out! 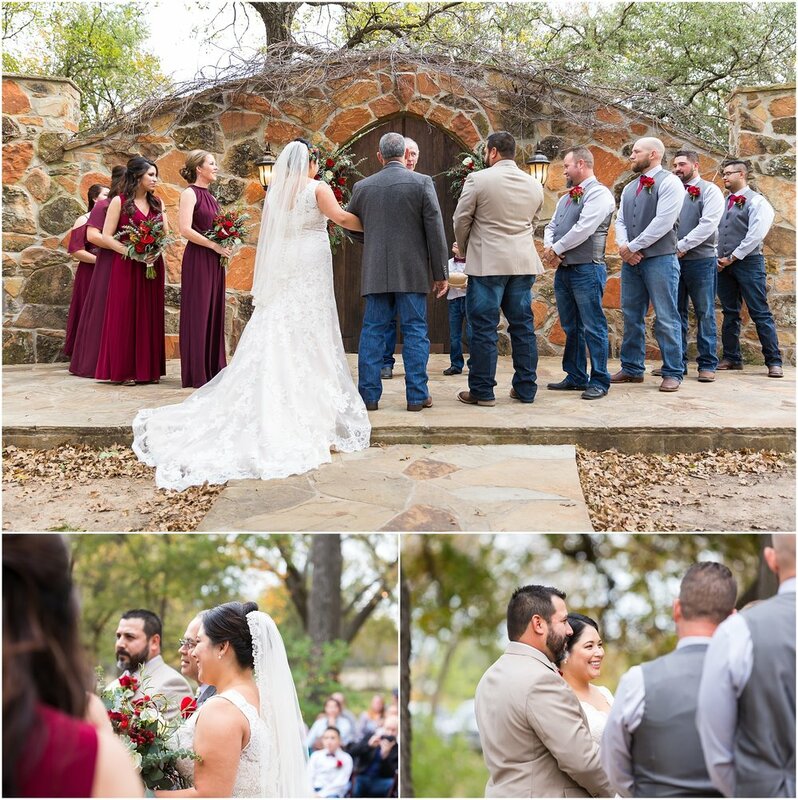 This was our first time at Dove Creek and we were blown away with how beautiful it was, with the ceremony site nestled under a lawn full of trees. We chose the lawn beside the ceremony site for Ellisa’s bridal party portraits, and it was so magical how the leaves kept falling around us from the trees above. The fall theme continued with the colors and flowers Ellisa chose for their wedding. Her bridesmaids looked stunning in their burgundy dresses, each picking a style that complimented them. Ellisa’s dear friend, Andrew from Andrew Liebig Designs, put together all her floral arrangements, even making 4 unique bouquets for the bridesmaids. 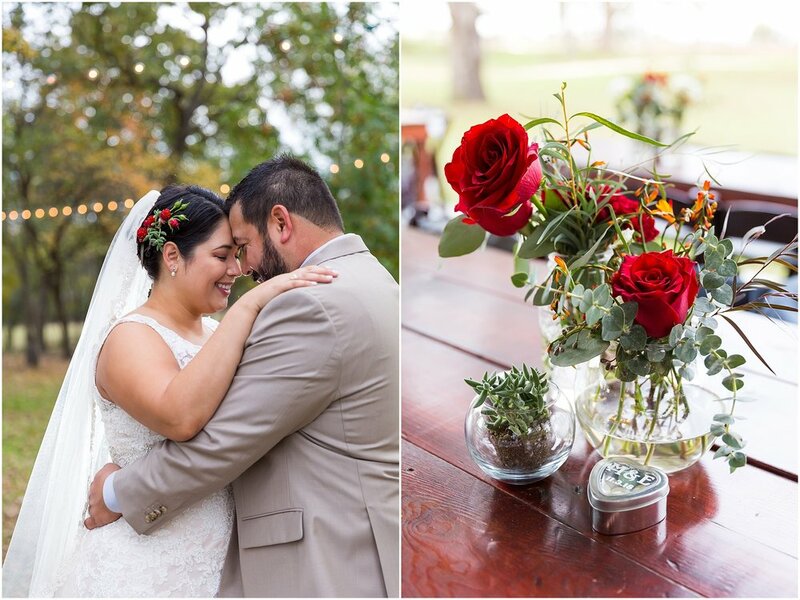 The red roses, berries, and red-tinged succulents made for some of the best perfect-for-fall bouquets we’ve seen. But Ellisa didn’t get to have all the fun in wedding planning. Misael made sure his love for Nutter Butters was represented in his fun (and delicious!) groom’s cake! 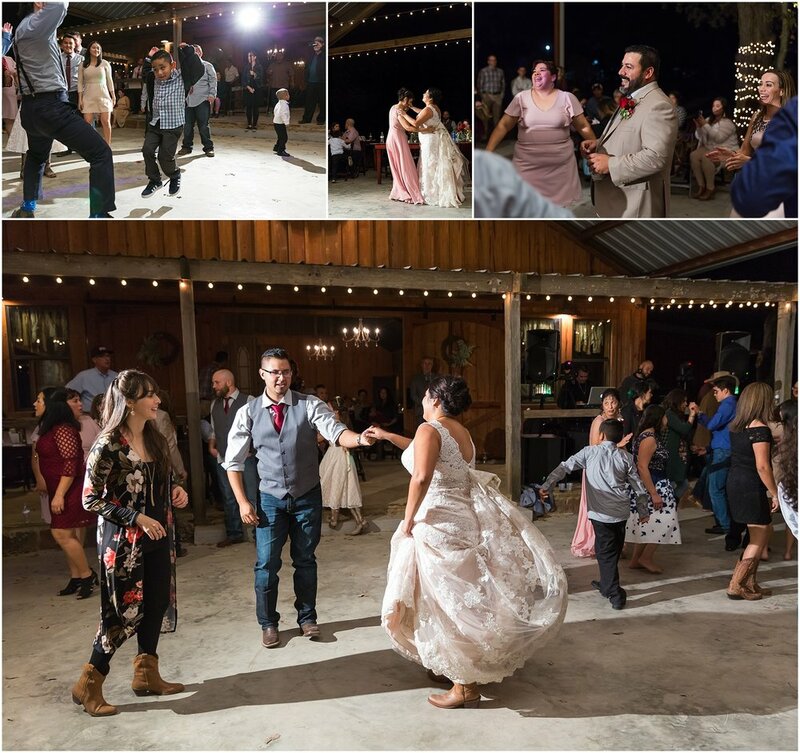 The magic of Misael & Ellisa’s fall wedding wasn’t just in all the gorgeous details, it was in all the special little moments that happened too. 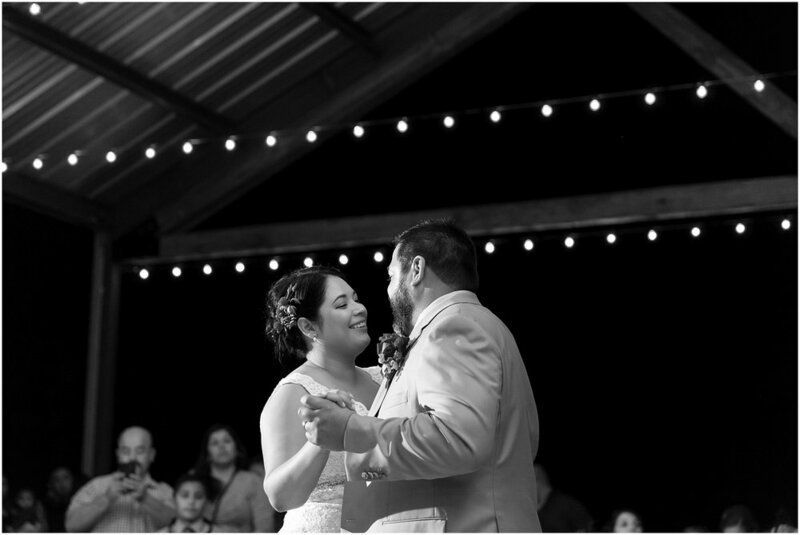 Moments we photographed so Misael & Ellisa can remember when they look back on their wedding photography. Like the way Ellisa and her mom were all laughs and smiles while she was getting ready and during their portraits. Or how Ellisa and her brother couldn’t resist posing in some fun ways to show of their sibling love/hate relationship. 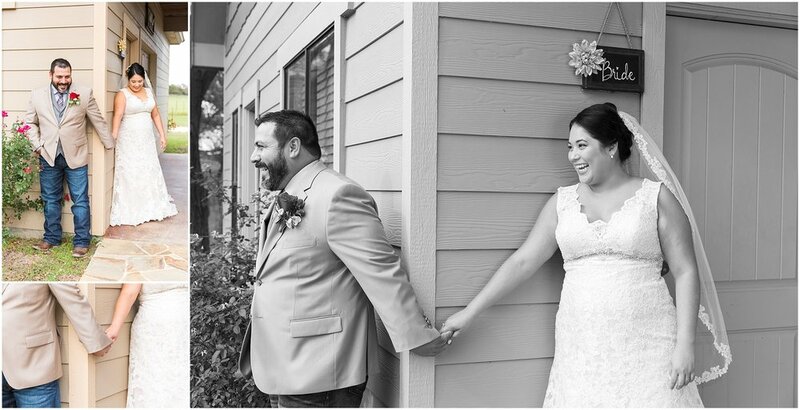 Pictures that show how Misael & Ellisa were all smiles and laughter when they held hands during their first touch by the bridal suite. Or all the glances they snuck at one another during the ceremony. 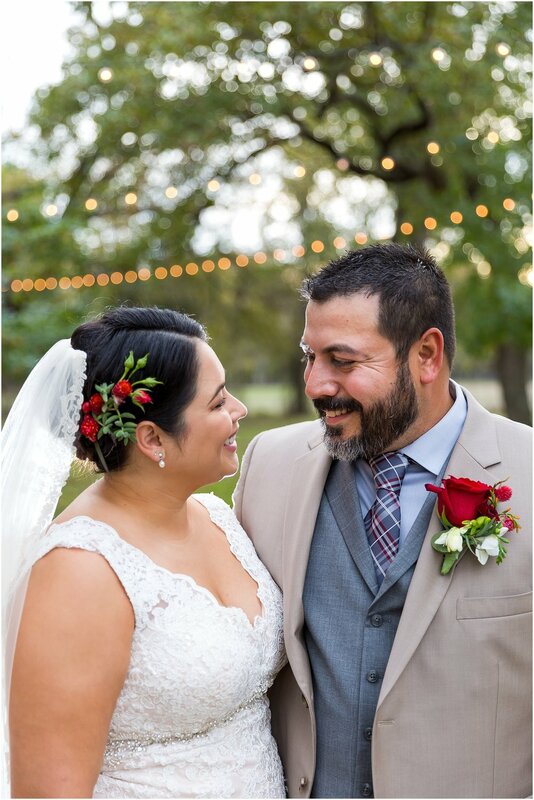 In fact, we love that we were able to photograph the sweet way Misael looked at Ellisa since she didn’t see it for herself. 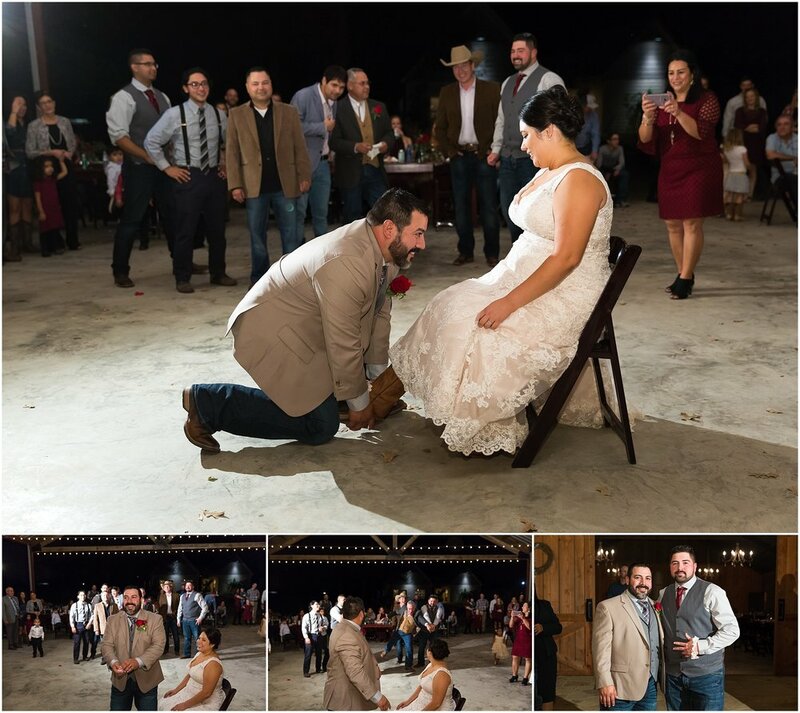 Now she’ll always have the picture to see how her husband looked at her lovingly during their ceremony. 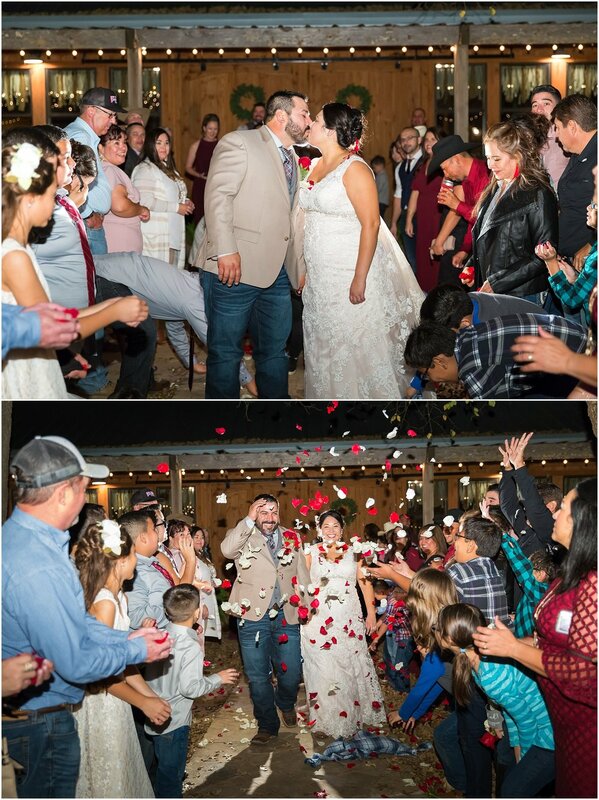 It’s moments like these that we love to photograph and forever capture for our Sweethearts, so they can remember them for decades to come. Seeing you look at each other so lovingly on your wedding day reminded us of what it feels like to be in newlywed love. We pray those loving looks at one another stay with you in the years to come and become a defining characteristic of your marriage!